Krispy Kreme is selling heart shaped donuts for Valentine’s Day this year. A variety of different flavors will be available at participating Krispy Kreme stores. 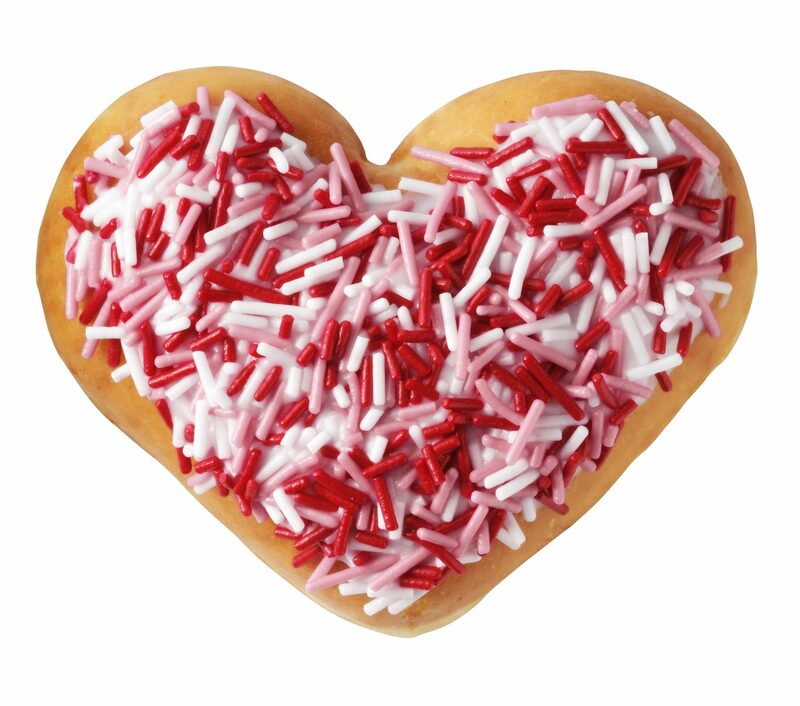 Glazed heart shaped donuts will be available in 6-count boxes at participating grocery stores and mass merchants. Suggested retail price: $4.49. The boxes will include a QR code that shoppers can use to visit the company’s webpage, where they can then send a Valentine e-card to their sweethearts. Shoppers can also visit the company’s Facebook page to customize a Share Your Heart Facebook Cover Photo. Along with the QR code that redirects to e-cards, there are 6 Valentine Cards inside each box. Mark LaBrecque, Senior Director – U.S Marketing Activation, stated the doughnuts are an eye-catching way to enjoy the special day. They’re a sweet, heart-shaped, treat. Will you be getting a box for your sweetheart? Feel free to share your thoughts.